Calligraphunk is an experimental typeface that mimicks polyrithmic calligraphy, by alternating two sets of lowercase letters to obtain a handwritten like typeface. Calligraphunk powerful flow is perfect for logo design and display use; the family comprises a cleaner mono width font for longer text blocks. Calligraphunk covers over 40 languages that use the Latin alphabet, with a full range of accents and diacritics. 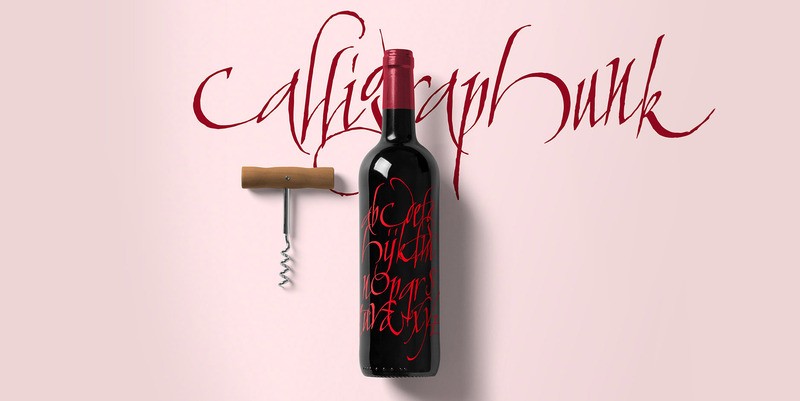 Calligraphunk makes full use of Open Type substitutions to create its peculiar handmade look. Take care: open type features are developed using open type technology, fully compatible with Adobe software and major design softwares and OS, but not supported by every software. Check before buying!